OPPOSITION PARTIES ARE piling criticism on the government for the latest mooted u-turn on Irish Water. Amid reports that the government will link the payment of the €100 conservation grant to water charges compliance, Fianna Fáil and Sinn Féin have slammed the government and Environment Minister Alan Kelly. At present a customer only has to register with the utility in order to qualify for the grant, meaning they do not have to pay their water bill to receive the €100 payment. This has been met with unease among Fine Gael backbenchers. However, the Department of Environment has insisted this afternoon that there has been no change in the government’s policy. But the proposal to alter the already much-changed water charges scheme has been met with disbelief. Fianna Fáil’s environment spokesperson described the whole debacle as a “total farce and a joke” that has to end. The issue with the policy is that everytime Alan Kelly picks up a phone to a journalist, his policy for Irish Water changes and it’s become absolutely farcical. Sure it’s a joke and a laugh and it just has to be brought to a conclusion. It’s comical Kelly at it’s best to be honest with you. For a lad that was ‘AK47′ earlier in the year. Cowen said that the €100 grant, which is being administered by the Department of Social Protection, offers no incentive to conserve water. He called for the dismantling Irish Water, recommitting his party to abolition of the utility if it is elected to government, saying there would be no charges until the water system is fixed. Read: What’s the Fianna Fáil alternative to Irish Water and water charges? Meanwhile, Sinn Féin’s Dessie Ellis said the government is “at sixes and sevens” over the grant scheme. “The government needs to face facts, Irish Water is not, will not, and has never been the correct choice for the supply of water in this country,” he said. There must be a single public utility for the supply of clean, fresh drinking water for every home in the country, free of domestic water charges. Sinn Féin is committed to abolishing Irish Water and delivering that public utility in government. Read: What would happen if Sinn Féin scraps Irish Water and water charges? 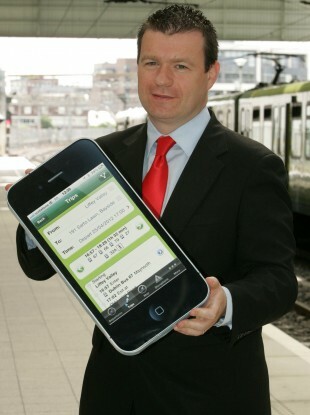 Email “'Every time Alan Kelly picks up the phone to a journalist, the Irish Water policy changes' ”. Feedback on “'Every time Alan Kelly picks up the phone to a journalist, the Irish Water policy changes' ”.